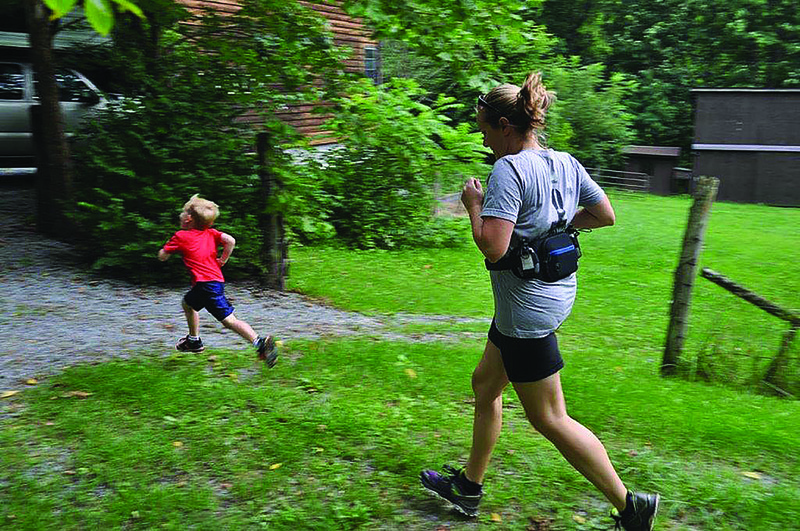 Our daughter Katie, her husband and child (on his “pusher bike”) went for a run recently through the private campground near our home. We live in the heart of the Allegheny Mountains and get a fair number of visitors who come to partake of the many recreational opportunities the area has to offer. Most are from the city and think that, just because they are now out of town, they can let their dogs run free and unfettered. On this particular occasion a pretty good-sized dog came after our grandson. Fortunately, the dog was pretty well trained and went back to its owner when called. However, Katie said that had she been alone, the dog was big enough that she probably could not have physically intervened had the dog attacked her boy. And, to cap the situation off, the owner became extremely belligerent when it was suggested he should have his dog restrained. Her final comment on the deal was “I’d have felt a lot better if I’d have had my revolver.” This led me to search out a discreet concealed carry fanny pack for Katie that is suitable for running and other active outdoor pursuits. The Marathon Gunpack (size Large) from Elite Survival Systems arrived a few days ago and is exactly what our daughter needs to tote her old hand-me-down S&W Chief’s Special on runs, bike rides or short hikes. Weighing just under a pound and extremely low in profile, the Marathon is constructed from ballistic nylon and water-resistant neoprene with a blue zipper accent. A non-slip rubber-like material covers the back of the pack. 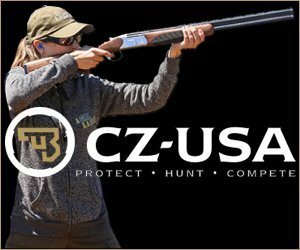 This keeps the Marathon from sliding around during strenuous activities and should repel sweat as well, offering protection for the firearm being carried. 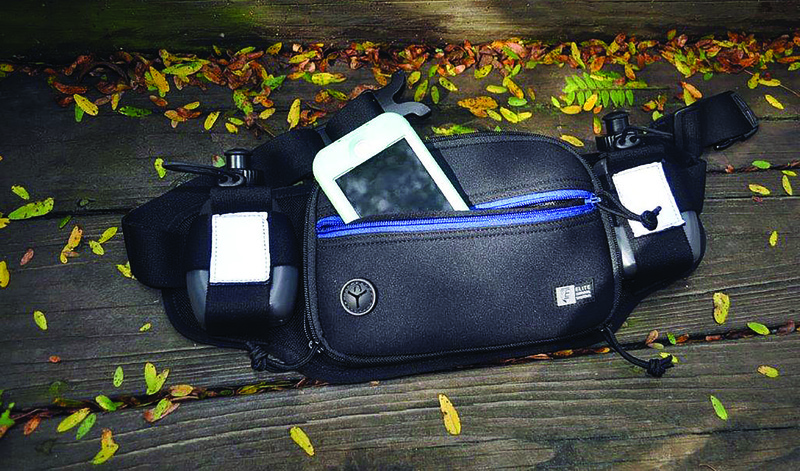 The Marathon is a low volume Gunpack with just enough room for the essentials; 14 ounces of hydration, phone, keys, a small snack and carry gun all fit in this compact fanny pack. 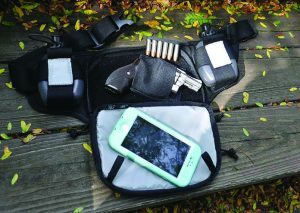 The 8.5”x5.5”x1” main pouch or pocket will accommodate most compact handguns including the Glock19, S&W Shield, Walther PPS and similar sized revolvers. The handgun is secured against the back of the main compartment in a simple Velcro® backed elastic pocket that can be positioned as required in order to obtain a good firing grip on the weapon being carried. Right or left handed, the Marathon’s double rip cords and two-way zipper allow for quick access to the weapon. The waist belt of the Marathon is a nice beefy elastic material that is fully adjustable and has a side release buckle for easy donning or removal. This elastic waist belt also absorbs some of the motion of the pack when the wearer is running; this is more evident as the weight of the gun being carried increases. Besides the main gun compartment, the Marathon has a smaller zipper-closed pocket on the front flap of the gun pocket that is sized for most smart phones. This pocket has a soft divider to protect the phone’s screen from keys or any other small items as well as an ear bud port. As mentioned above, the Marathon Gunpack does not scream “gun” like many fanny packs on the market. 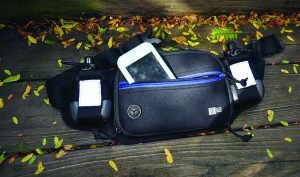 Being purpose designed for runners and other outdoor enthusiasts, the two 7oz capacity water bottles in their elastic pouches flanking the gun and phone pockets lend an innocuous and benign look to the Marathon. For safety while running at night there is a reflective patch on each of the bottle holders. Our suspicion is that even the trained eye would hardly give the Marathon a second glance as it has a similar look to many of the fanny packs worn by thousands of outdoors folks, young and old, all over the country. Our daughter Katie didn’t waste any time getting the Marathon set up to meet her needs. The main compartment of the Marathon easily holds Katie’s nickel-plated S&W Chief’s Special in the universal elastic holster. Boot grips by Craig Spegel. Positioning the elastic holster pouch took a bit of fiddling to get it right and adjusting the waist belt was straight forward. Field testing amounted to a short run down the road to the local campground. The Marathon Gunpack rode well without any significant bounce or shifting around due to the weight of the old Chief’s Special. Katie said the rubberized material against her back kept the pack from shifting around and was not abrasive at all. Access to the weapon is quick and simple using either the zipper closures or the rip cords. Like any system used for concealed carry, this fanny pack should be used on the range to build a certain degree of comfort and competence in accessing the weapon before depending on it; Katie is working on that. We’re pretty sure Katie now has a new system for toting her old revolver around. Whether running, biking or hiking, the Marathon Gunpack is a comfortable, low profile and unobtrusive on-body carry, set-up for the outdoors person who is concerned with their personal security. The product code for the Marathon Gunpack is 8101-BL. If ordered direct from Elite Survival Systems the price is just shy of $60, which is a small price to pay for a versatile and well-made product that can be used in many different situations. 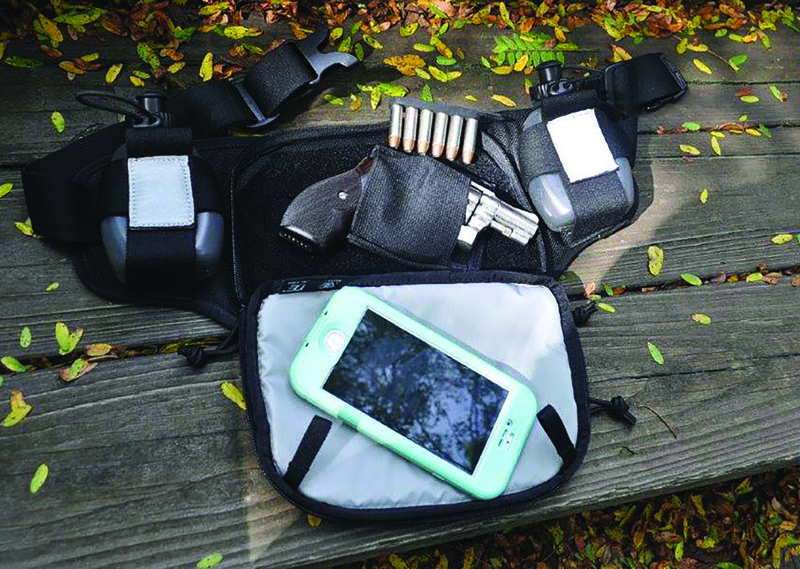 Outdoor enthusiasts who are looking for a discreet multi-function carry system for their personal defense weapon can’t go wrong with the Marathon Gunpack from Elite Survival Systems. Good shooting.